I promised this recipe for Tugboat Lentil Stew to friend who was curious. I made it earlier this week because I was in the mood for something substantial but heart healthy. 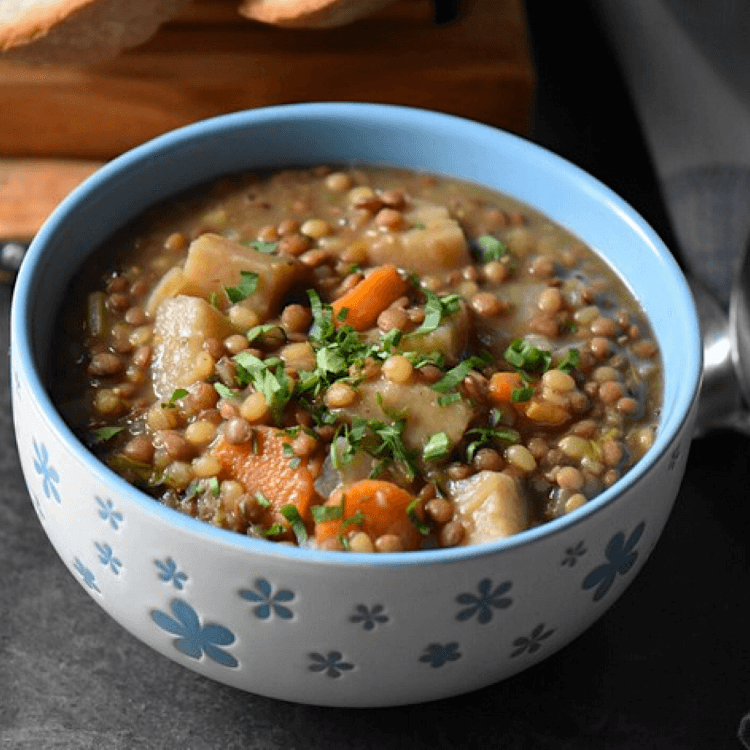 This turns out to be more of a stew than a soup because lentils soak up liquid and because the large veggies aren’t reminiscent of a thinner dish. 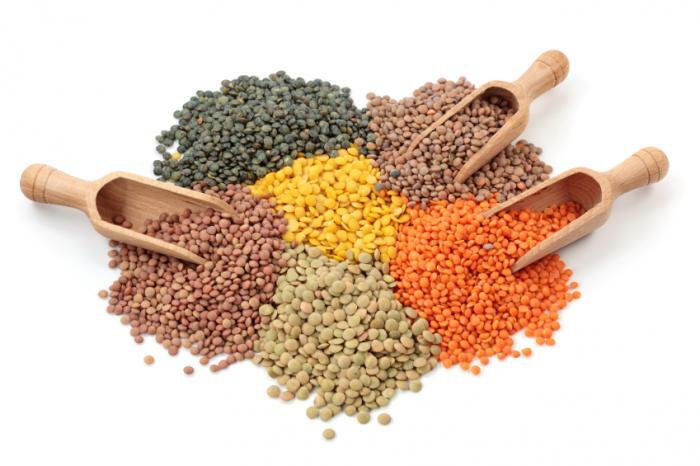 I usually use brown lentils, but if you aren’t sure what kind you should use in a particular recipe, this might help. Rinse and pick over lentils for stones. In a Dutch oven, heat oil until hot. Toss in onion, garlic, carrots and celery. Sauté for 10 minutes or until onion is translucent and vegetables are tender crisp. Add tomato sauce, water, vegetable broth, bay leaves and lentils. Bring mixture to a boil. Cover; reduce heat and let simmer for about 25 minutes or until vegetables are slightly soft. Add chicken sausage and pepper. Cover and let cook another 10 minutes or until chicken is heated through. Add salt. Ladle into bowls and garnish with lemon slices and a dash of red wine vinegar. Serves 8-10. Veggies: I’m not a fan of celery so I’ve never used it in Tugboat Lentil Stew. Sometimes, if I have them, I’ll throw in 2 cups of frozen mixed vegetables instead. Or one cup each of frozen carrots and green beans (or peas). I always use onion because what’s a stew without it? Liquid: I like the flavor we get using tomatoes. But if I don’t have tomato sauce, I almost always have a can of petite diced tomatoes around. A large can is okay because those lentils really soak up the liquid. In fact, I use more broth too. I add it as the stew cooks when needed. Unsalted chicken broth is my favorite because there’s so much sodium in other types. Spices/Herbs and Garnish: Bay leaves are a must. It’s a stew, after all. (Just remember to remove them or give a prize to the person who finds one in his dish.) If you don’t like garlic, leave it out. No sea salt? Use whatever kind you have. Remember that with sea salt, you don’t need as much for flavor. I don’t garnish mine. I usually want my stew right away and I’m not so fancy I need them. Although…the vinegar sounds good for a little kick. Speaking of “kick,” I’m all for just a pinch of red pepper too. You can add that to the pan when you pour in the liquids. One big plus about this recipe is you don’t dirty a lot of dishes. Your comments are like that extra kick in my stew. Are you one of those “by guess and by golly” cooks like me?